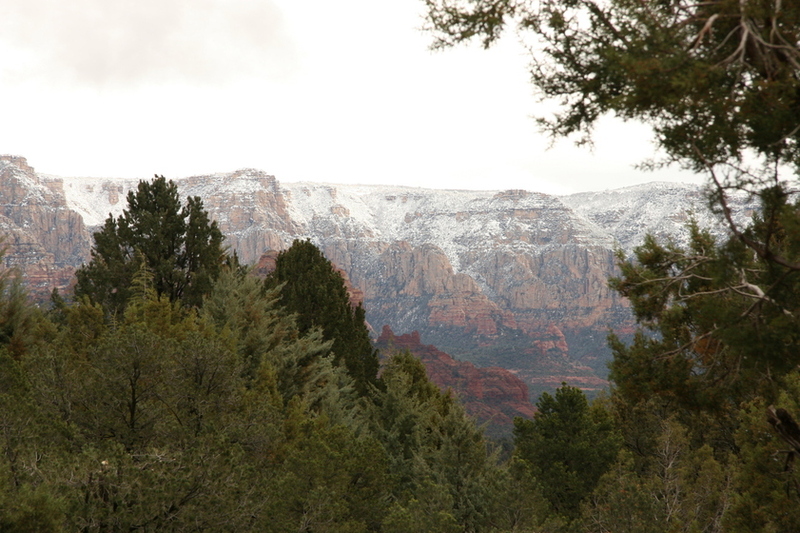 Take a trip to Sedona for the holidays, stay at El Portal Sedona and make this one exceptional Christmas! 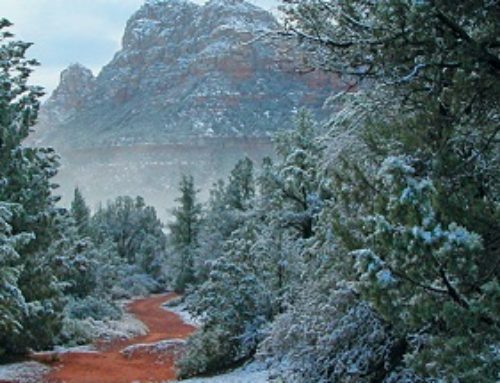 At El Portal Sedona Hotel, we believe this holiday season in Sedona is incredibly special with a variety of exciting things to do for the entire family! Here’s what to do on your Holiday trip to Sedona! Make Vintage Holiday Ornaments – create clever and nostalgic holiday ornaments at Sedona Heritage Museum, 735 Jordan Road; Uptown Sedona. Supplies, samples and instructions provided. Get into the holiday spirit with these simple, old-time crafty projects. Take home what you make for your own decorations or maybe as a gift. Available all month between 11:00 am – 3:00 p.m. Closed December 24 – 25. Cost: free. Sedona Railroaders Annual Christmas Model Train Show – this is the 19th annual Christmas Model Train Show at Bashas Shopping Plaza; West Sedona. No Christmas would be complete without memories of the old-fashioned department store’s displays of miniature toy trains. This year’s exhibit will include a massive 28-foot by 12 foot double track HO layout and an extensive American Flyer S scale layout. Prizes include a complete HO model railroad set, a pair of tickets on the Verde Canyon Railroad and two separate pair of tickets on the Grand Canyon Railroad. December 14-30, 11:00am-4:00pm. Cost: Free. “Christmas with Barbra” – performed live, onstage by world-renowned, award-winning Barbra Streisand tribute artist Sharon Owens, who plays to sold-out shows in Las Vegas and all around the world, at The Mary D. Fisher Theatre. When: 4:00 p.m. Thursday 12/19; 7:00 p.m. Friday 12/20 & Saturday 12/21 ; 2:00 p.m. Sunday12/21. Cost: $20 general admission; $17 for film festival members. 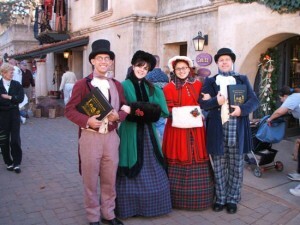 Holiday Sweet Stroll at Tlaquepaque – enjoy sparkling lights, strolling carolers, roasted chestnuts and discover unique gifts at the First Holiday Sweet Stroll at Tlaquepaque. Retailers open their doors and celebrate the holidays with “sweet” treats, special give-a-ways, and discount offers. Featuring some of the best boutiques, galleries and restaurants in Sedona. You are sure to find some special presents for those on your gift list. 4:00-7:00pm Friday 12/20; and Saturday 12/21 from 3:00 – 7:00pm. Cost: Free. These are just a few of the upcoming festivities for Holiday Central Sedona! El Portal is the place to stay for the holidays…we are close to all the excitement, including a 2 minute walk to Tlaquepaque Village. Each spacious room is different, but all have unique features such as museum quality Arts and Crafts furnishings, soaring beamed ceilings or hand-painted detailing. The pet friendly hotel was built with wood and tile flooring throughout to accommodate canine visitors and dog friendly patio areas with some rooms. At this boutique hotel quintessential service is considered an integral part of the serenity of the Southwest experience and offers personalized concierge services to our guests. So call and book your holiday experience with us at El Portal Sedona Hotel 1.800.313.0017, or go online to reserve your Sedona accommodations!